Housing Carbon Footprint: How are we doing? Climate change, glacial retreat, extreme weather, greenhouse gas emissions…. We hear about these all day long and sometimes we just switch these messages off. But, how much does living in our homes impact the environment? How aware are people of their households’ effect on the planet? In the latest ING International Survey on Homes and Mortgages 2018, we asked approximately 15,000 individuals in 15 countries about their current and future attitudes towards green home living, that is, how much they do today and are willing to do in the future to reduce the negative impact of their housing on the environment. In this article, we compare these attitudes to sustainable housing across 13 European countries, the United States, and Australia. Our homes affect the environment in several ways. How our house is built and how we live in it contribute to our personal carbon footprint. How aware of this issue are average citizens currently and how much more are they willing to do in the future? 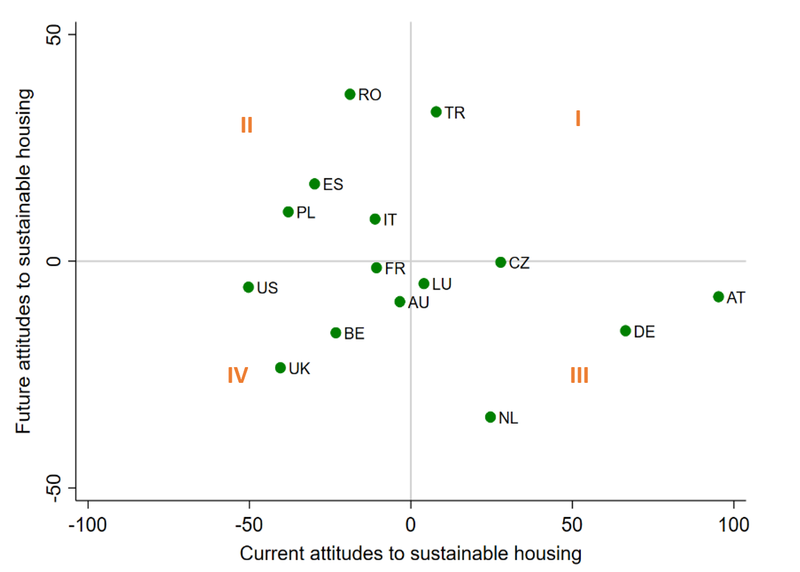 Figure 1 presents a simple plot of current and future attitudes to greener housing by country. First and most importantly, Figure 1 indicates that Group I, the Always Greeners, is almost empty. Although the Turkish population has better attitudes towards future green housing, their current attitudes are still just average. In group III, the Today Greeners, Austria and Germany stand out for their better attitudes towards sustainable housing today, ranking them first and second, respectively, of all the countries. However, they do not appear very willing to further improve the environmental impact of their homes in the future (with attitudes ranking 10th and 12th, respectively). Romania is highlighted in the group of Future Greeners, ranking first in future willingness to go green, even though its current attitudes to sustainable housing barely rank 10th. 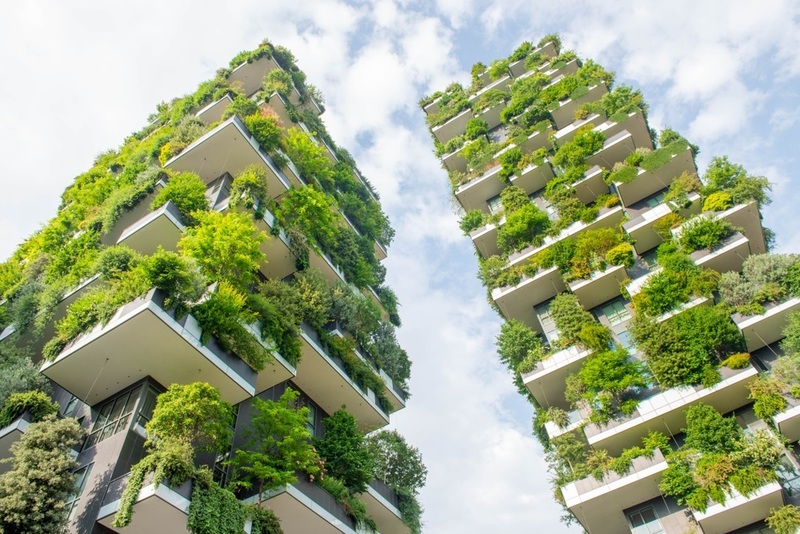 Spain, Poland, and Italy do not currently have great attitudes to green housing, but they are willing to improve, with future attitudes ranked, respectively, third through fifth. Most disturbing, the United States, the United Kingdom, and Belgium have significantly worse attitudes towards green housing at present (in 15th, 14th, and 11th places) and are also not very willing to do better than other countries in the future, for which they rank ninth, 14th, and 13th. Even though many of us are aware that living in our homes has an impact on the environment, there are clear barriers today to maintaining such a low impact. This awareness and these barriers differ significantly amongst the residents of different countries, which helps explain the large variation in current attitudes to sustainable housing shown by our Greener Housing Index. 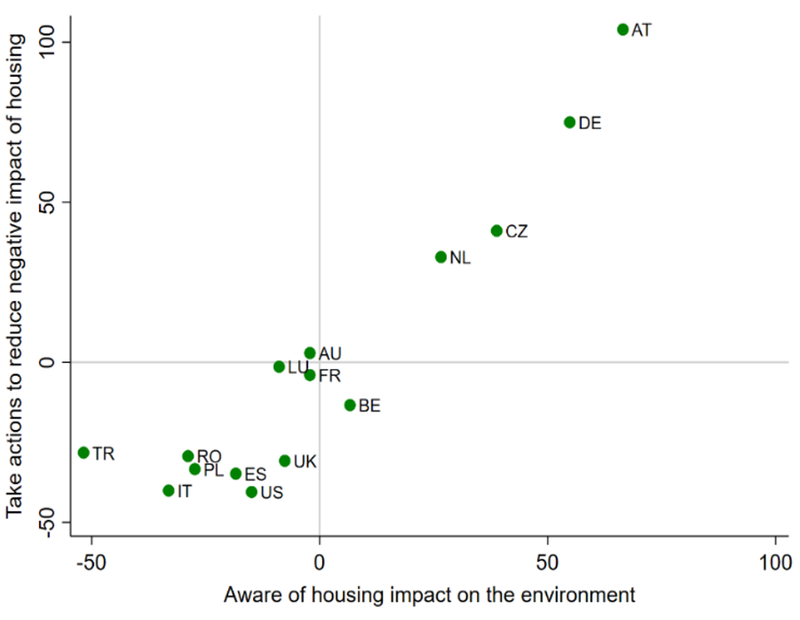 Figure 2, for example, zooms into these attitudes and shows that most people in Austria, Germany, the Czech Republic, and the Netherlands currently recognise that housing has a significant impact on the environment, whereas people in Turkey, Italy, Romania, and Poland are much less aware of this fact nowadays. Additionally, we find that most people in Austria, Germany, the Czech Republic and the Netherlands have taken action to keep the negative impact of their homes low, by 1) recycling or using energy-efficient appliances, 2) making small or large changes to their homes, such as installing water-saving shower heads or solar panels, and 3) owning or renting a home in a new, eco-friendly building. These are the main reasons why Austria, Germany, and the Netherlands are in the top five in the current greener housing ranking. The Czechs are in third place mostly because of reasons 1) and 2), since only a few currently live in eco-friendly homes. 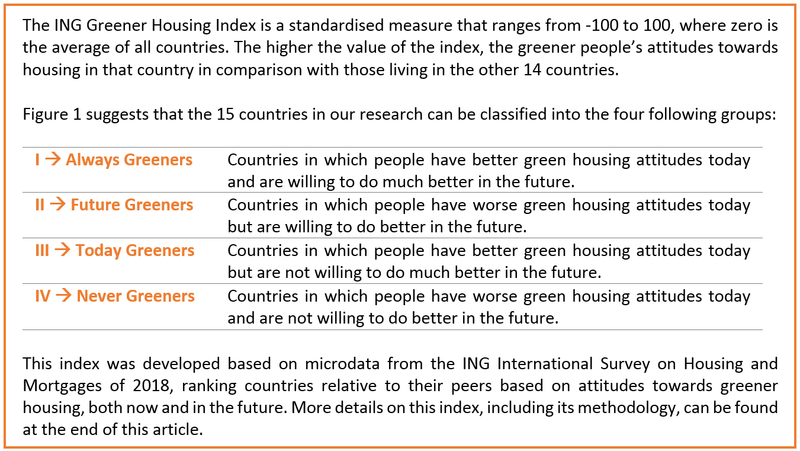 The same three factors above – but in the opposite, less green direction – are why the United States, the United Kingdom, Poland, Spain, and Belgium score the worst regarding current attitudes to sustainable housing. These five countries score the worst mainly because of the affordability barrier people face, reflected by the overwhelming majority (>70%) seeking information on energy/water prices and their current home’s efficiency just to make sure they could pay for such expenses. In contrast, Turkey ranks fifth in current greener housing attitudes, mainly because the largest share of their population (54%) sought information on energy/water prices and efficiency or recent renovations and the age of their current home to better understand their home’s environmental impact, rather than for affordability reasons. Can we make a difference for the future of the environment? The environment, our health, and even household finances could benefit from changing our behaviours and making better choices related to a more sustainable, ‘eco-smart’ housing approach. How much, as individuals, are we willing to do in the future? Do people actually believe sustainable housing is important and can they individually make a positive impact? According to our research and insights revealed by the Greener Housing Index, current attitudes to sustainable housing, reflective of people’s awareness and efforts to reduce their environmental impact today, do not necessarily predict future attitudes. While Austria, Germany, and the Netherlands comprise the top three in terms of current attitudes, they are below average regarding future efforts to go green. Why? As shown in Figure 3, the people in Austria, Germany and the Netherlands 1) believe there is not much more they can do (in addition to what they are already doing) to reduce the environmental impact of their homes, 2) are less convinced that working together can help reduce such an impact. 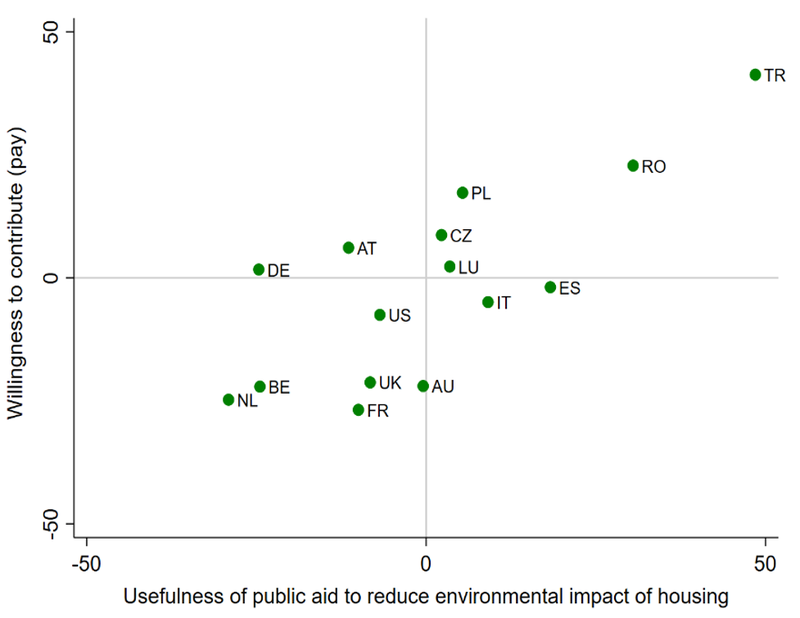 Moreover, as shown in Figure 4 below, people in these three countries also 3) find the government’s help in terms of subsidising or providing solar panels, shower timers, recycling bins, and other energy-efficient home appliances to be much less useful than in other countries, 4) are willing to pay much less for the government’s help if it were useful, and 5) do not consider an energy-efficient design one of the three most important aspects in choosing a new home if they were looking for one. Overall, these findings suggest that the people in Austria, Germany and the Netherlands are satisfied with their current (high) efforts and might simply expect others to take more initiative in the future. That could be the call to action for the British, who not only scored the lowest in current attitudes to sustainable housing but also showed much less willingness to improve in the future, mainly due to the costs associated with the factors noted in items 4 and 5. 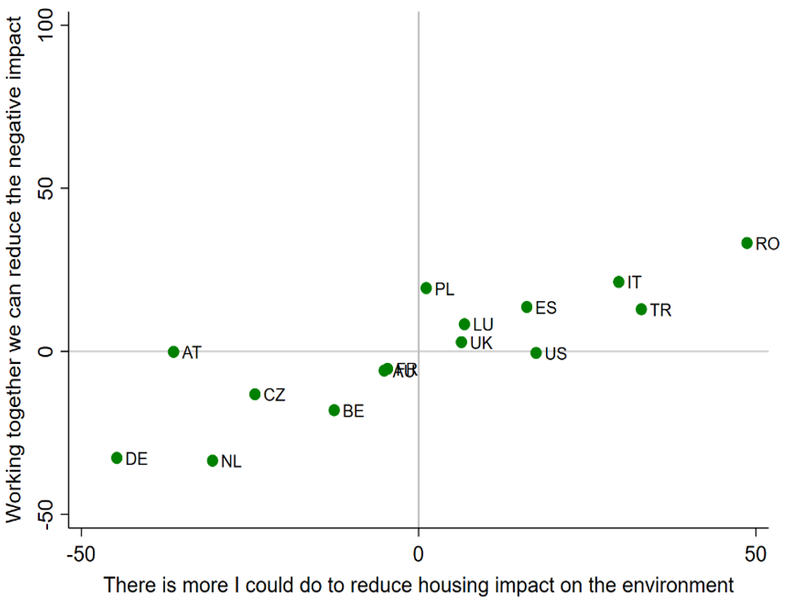 On the other hand, Romania, Turkey, and Spain are the top three countries in terms of greener housing attitudes towards the future. The people in these countries stand out mostly because, first, they recognise they can do more to reduce the environmental impact of their homes; second, they find the government’s help in subsidising or providing solar panels, shower timers, recycling bins, and energy-efficient home appliances very useful and are also willing to pay higher amounts of their take-home pay to make this government’s help happen; and, third, they consider an energy-efficient design amongst the three most relevant aspects for moving into a new home if they were looking for one. A great deal of work is being carried out by individuals and policy makers to become eco-wise in terms of housing. However, meeting the ambitions outlined in the Paris Agreement is still a challenge. The main barriers to the benefits of the transition to clean energy and the avoidance of severe climate change impacts are political, local, and personal, where we can all contribute. As households, we can innovate and improve the efficiency of our homes, for both the individual reward of lowering one’s bills and the planet’s environmental well-being. However, most homebuilders will also soon need to start switching to eco-friendly materials and governments will play a major role in optimally regulating not only new construction but also building maintenance and housing markets to make green homes affordable. There is a continued need for affordable environmentally friendly housing. With advances in sustainable practices and production, it may be possible to do more for residents and the environment at lower cost. The Paris Agreement requires the actions of all countries and these actions and targets need to be strengthened in time – there is no room to go backwards. How about we all – families, builders, policy makers, and so forth – start or continue practicing good green behaviours so we can all contribute to meet the Paris Agreement targets? <1]<="" a=""> In Europe, households are responsible for at least 20% of total emissions of greenhouse gases, according to the European Commission. This article is a contribution to the Think Forward Initiative by Maria Ferreira, Economist at ING. 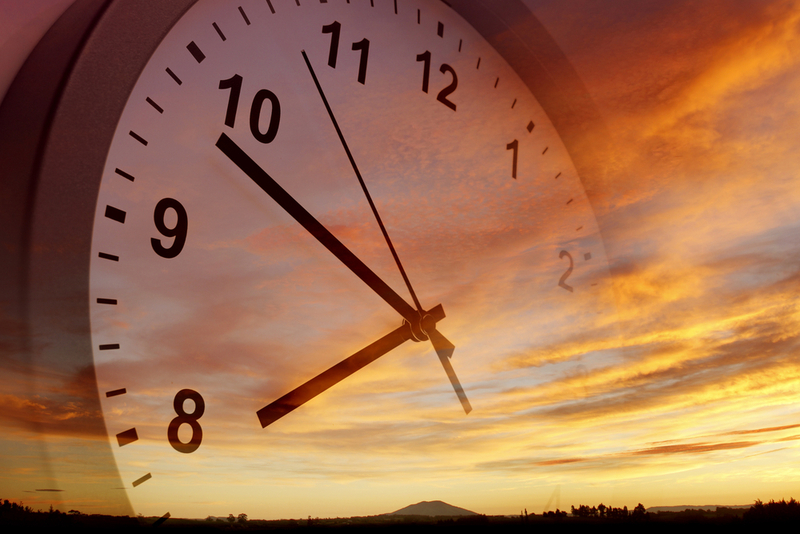 Ending daylight saving time: Disrupted routines and spending habits?